On April 25, several people came together to discuss critical issues and topics about the community, how we are perceived in a business or networking setting, and how we are influenced by our cultural heritage. The program kicked off with an opening speech from David Lin, national president of the Japanese American Citizens League, who flew out from New Jersey. 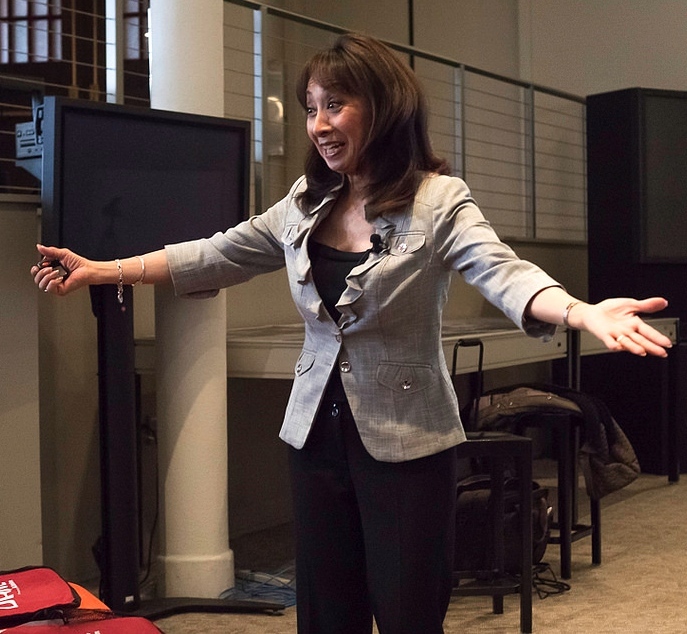 Kristy Ishii and Ryan Taketomo introduced keynote speaker Vanna Novak, a nationally recognized trainer, consultant, and coach on persuasive presentation skills and skills to build quality work relationships. Based in Seattle, she is the CEO and owner of Speak to Persuade, and has been in the business of speaking and training for over 20 years. Novak’s presentations about the “Art of Influence” and “It’s What You Don’t Say That Counts” left attendees with their mouths agape at times. She exposed the audience by engaging the young professionals in every aspect of her presentation, using participants in the crowd as examples of what she was referring to in her seminars. The audience roared with laughter, and when she made a profound statement, you would hear a few snaps of agreement in the room and many pens scribbling away, jotting down the crucial pieces of advice. Novak wove together the significance of happiness, cultural backgrounds, and confidence in her presentation about networking and making business relations. She flawlessly set these students up to absorb the advice from an equally engaging panel of speakers who arrived later in the afternoon. Following her two enriching seminars, State Farm agent Sean Cheng delivered a presentation that highlighted the significance of financial responsibility, which resonated with all of the young professionals. The attendees enjoyed a delicious Maison Akira obento and Fugetsu-do manju during this financial planning program. After lunch, everyone came together to hear about the ways in which the panelists navigated through their careers, with their unique identities and within their radically different, yet mutually respected positions. Dr. Curtiss Takada Rooks joined us and shared with us the insight he gained from serving on the Gates Millennium Scholars Program Advisory Council, amongst other organizations, and shed light on the importance of balancing family, community involvement, and a professional career in academia. traci kato-kiriyama (prefers lowercase name to identify), a nationally touring writer, actor, multi-platform artist and educator, laid down the significance of staying true to ourselves, and how every interaction is an opportunity. Craig Tomiyoshi, the vice president of IW group, who works daily within the Asian American community and beyond, emphasized how important cultural sensitivity is and the growing trend of multiculturalism in marketing and communication businesses like his own. 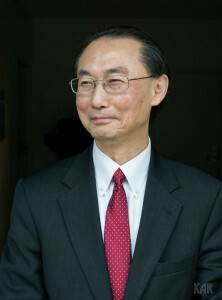 In conjunction with his work life, he dedicates time to the Japanese American Citizens League-Pacific Southwest District and Japanese American Community Services, amongst a few other organizations. Nikki Kodama, the manager of systems engineering and integration at Northrop Grumman Corporation, works amongst several highly qualified engineers like herself in support of the F/A-18 Super Hornet Program, and also contributes significant time to the Japanese American community in Los Angeles through her work with Nisei Week Foundation, Japanese American Cultural and Community Center, and the Japanese American National Museum. She focused on how important it is to keep cultural ties strong, while also breaking out into the competitive workplace, and how we must take actions that will enable us to respect ourselves for at the end of the day. 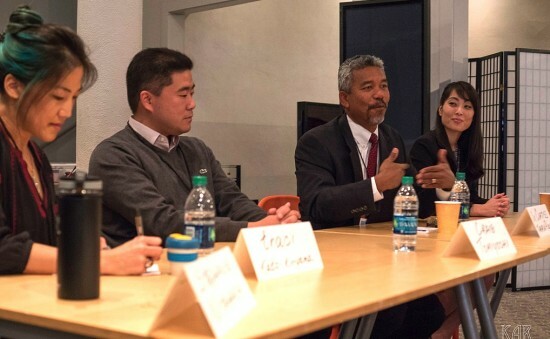 Each panelist brought in advice from such diverse corners of expertise, and the audience received arguably one of the most outstanding Japanese American discussions of 2015, in a space that coincidentally bears the name of Tateuchi Democracy Lab. After the panel discussion came to a close, open networking commenced for over an hour and didn’t end until the last box was carried out of the venue. The discussions produced were phenomenal, and several exchanges of understanding and growth were exhibited in every corner of the room. Attendees walked away with a stronger conscience of how they as individuals assert themselves in a networking setting, a better grasp on how to make change in a community, and countless new connections that will undoubtedly lead to career and life developments. A special thank you to our planning and outreach committee members: Ryan Taketomo, Stephanie Nitahara, Nancy Takayama, Diana Ono, Kim Yamasaki, Michelle Yamashiro. Thank you to our generous donors: Japanese American National Museum, Southwest Airlines, State Farm, UCLA Asian American Studies Center, Fukui Mortuary, Fugetsu-do. Thank you to Vanna Novak, Dr. Curtiss Takada Rooks, traci kato-kiriyama, Nikki Kodama, and Craig Tomiyoshi for making this event unforgettable. Thank you to the many contributors during and prior to the event: Kay Amano, Kelley Rich, Ryan Kageyama, Kristen Sadakane, Maison Akira, and Elizabeth Lim. 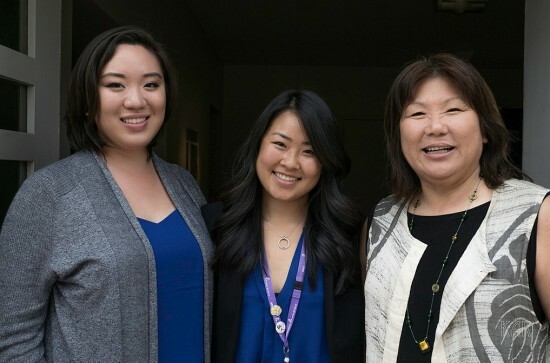 Kristy Ishii is a member of the JACL National Youth Student Council.